Did you ever notice that actor Matthew McConaughey likes to make noises? Like, a lot of groans, wails, grunts and cries that sometimes send shivers down your spine? Well, one fan certainly noticed. And they have collected a ton of clips from McConaughey's back catalogue that show him urging guttural atrocities from his lungs. And it's pure torture. This video is right up there with Owen Wilson's 'Wow' compilation. It's unclear if these actors are aware of their trademarked nuances, or if this is just what naturally comes out of them at any given time. Will Matthew McConaughey see this video and have a sudden self-realization that he's been emitting the same sounds as a monster over and over again throughout his entire career? McConaughey has been acting since 1992, when he made his small screen debut in an episode of Unsolved Mysteries, playing Larry Dickens. These flashbacks didn't really give the actor a chance to be his guttural self, but they did introduce a fresh new talent. He was a background player in his first movie My Boyfriend's Back. He didn't really get to groan much in that horror comedy, either. It wasn't until his breakout role in 1993's Dazed and Confused that fans got a first look at what was swirling around inside this guy's gut. But he kept his mutterings to a minimum at best. Then came the much maligned 1994 horror sequel Texas Chainsaw Massacre: The Next Generation. And boy, did he let his tongue hang out in this one. The guy really went to town, starring opposite a fresh faced Renee Zellweger. The pair quickly tried to distance themselves from this schlockiest as both of their careers took off simultaneously. But McConaughey kept some of the crazy and has spread it around well ever since. This video spans his entire oeuvre, giving us gestural blasts of nonsense from such hits as Magic Mike, Dallas Buyers Club and EdTV. But it certainly doesn't stop there. The guy has 64 film and TV credits to his name, and almost all of them are collected here. Perhaps the biggest stretch of noises comes from his iconic scene in The Wolf of Wall Street opposite Leonardo DiCaprio. He pounds his chests, chants, whistles, and bings his way to infamy. There is one great stretch here that just shows the guy going bananas. He's even invented some of his own sounds that are almost not of this Earth. And they span every genre of film from the sci-fi drama of Interstellar, to the romantic comedy adventure of Fool's Gold, to some of the most obscure movies on his resume. If you enjoy watching Matthew McConaughey in True Detective, there's quite a bit of that here too. No stone is left unturned in this 10 minute opus. It's quite a lot of noises to sift through, and once you're done with it, we're sure you'll come out the other side a changed person. 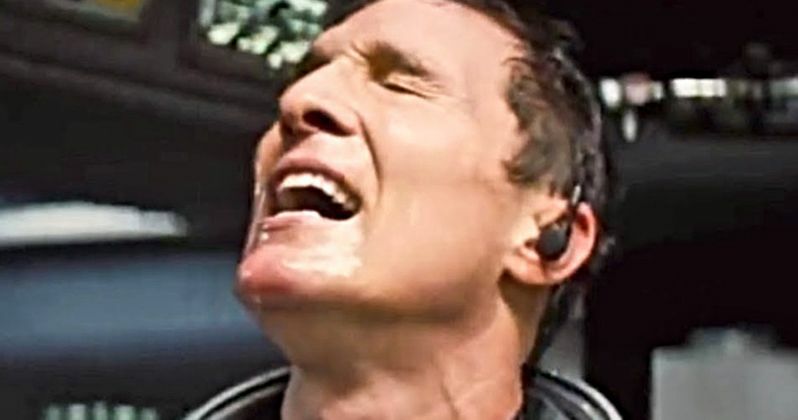 So strap in, and get ready to launch as you watch Matthew McConaughey make every noise known to man.